Songo is a two book series. 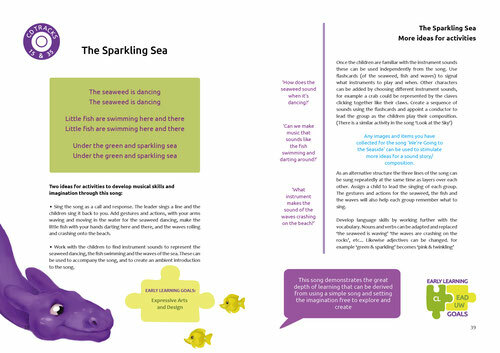 It includes a children's and family book and a book for educators and professionals. The left image shows the front and back cover of the family book, the image on the right shows the front and back cover of the book for professionals. 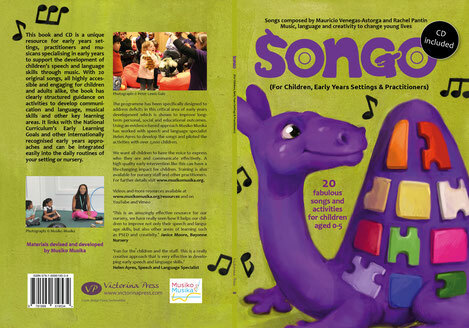 The Songo (For Children and Families) book includes 20 fully illustrated songs. Parents and children can listen together to the songs from the included CD while looking through the book. 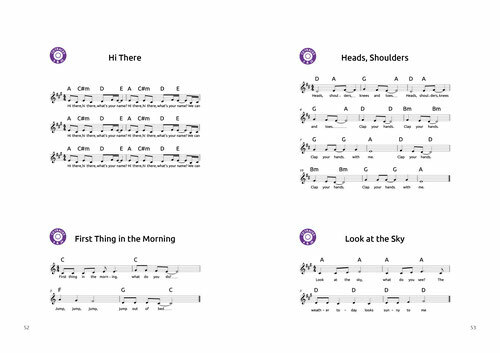 On each page are besides the song lyrics additional comments on how to engage with the child. 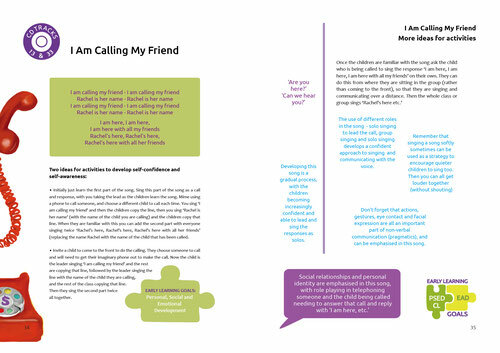 Songo (For Children, Early Year Settings and Practitioners) is a book for professionals. As well as the family book it includes the song lyrics and a CD with the songs. Besides that it is has an activity section which shows phases to say to the child, key suggestions and comments. 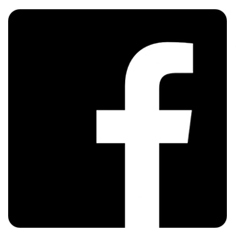 Each page also shows various learning goals which can be improved upon by doing the particular exercise. The book also includes notation pages and useful frameworks.